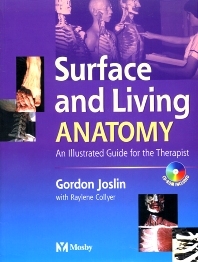 This interactive, skills-oriented guide explains not just what surface and living anatomy is, but how to apply concepts in therapeutic practice. A compilation of 230 behavioral objectives, step-by-step enabling criteria, and photographs helps readers achieve standards of competence in key skill areas. It covers questions commonly asked by examiners at diploma and degree course levels. Skills oriented approach features a hands-on explanation of what students need to know for clinical practice. Interactive CD-ROM provides an added level of practice and involved learning. 230 behavioral objectives are included for real-world application of concepts. Objectives and enabling criteria are outlined, based on practical standards of achievement upon completion of the BSc Surface and Living Anatomy module. Objectives and enabling criteria are designed to serve as the basis for examination questions and answers.